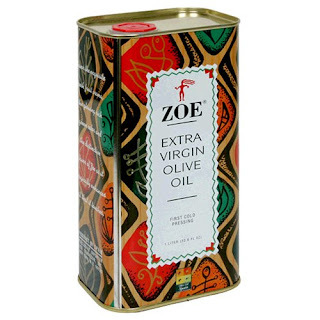 Amazon: Zoe Extra Virgin Olive Oil (2 pack) 1 liter ONLY $7 each! Amazon's Friday sale is great today. 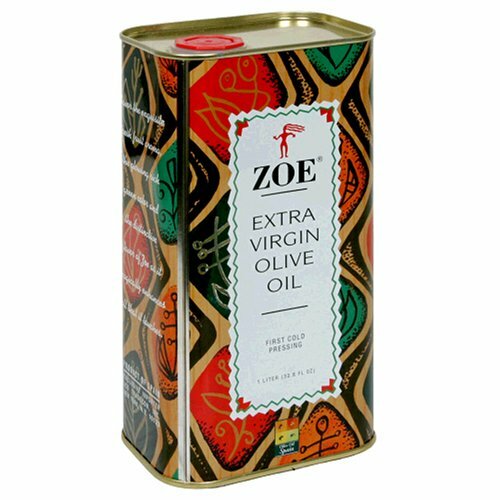 You can score two (1 liter each) Zoe Extra Virgin Olive Oil for $13.59! If you have Amazon Prime, that will make shipping FREE! Plus, sign up for Subscribe & Save to get the additional 15% off (be sure to cancel it later!). That makes it $6.80 per LITER of a good high end olive oil! Mangia! Mangia! Head on over here to play the Ro*Tel Feed Their Game Face Sweepstakes! You could win FREE groceries for a year & a trip to one college football game of your choice! . . . and you could instantly win a $100 team store gift card! GOOOOOOOOOOOOOOOOOOOO sign up now & let me know if you win! I got the Luminary Starter Kit in Green Tea Citrus for FREE after a $4.00 off one coupon I had. This is normally $15.99 (whoah!) and is marked down (before coupons) to $3.99. With the $4.00 off coupon I had, it was FREE!!! The Reed Diffuser in Green Tea Citrus was marked down to $2.74 (normally $10.99!) . . . with the $1.00 off coupon I had, it ended up being $1.74! Don't have the coupons I'm talking about? Go here to sign up for P&G Everyday Solutions . . .with the P&G Brand Sampler, you can choose coupons that you want . . . they vary but should include good ones for Febreze and more! Look what I got in my snail mail today!!! A whole box of Mrs. Fields cookies FOR FREE!!!! How did I get this?!?!? Remember my post about signing up for a Mrs. Fields promotion & referring my friends here? See, there really are some sweet things in life that are FREE!!! Did you score anything good in the mailbox? Let us know!!! Freebie: FREE Banana SoyJoy Bar! Fill out this form here for a FREE Banana SoyJoy Bar! Don't monkey around . . . it's only available for the first 15,000!!! High Value!!! $1.50 off Pillsbury Sweet Moments High Value Coupon (For You & Friend)! I've had the mini brownie bites and they are so good frozen!!! Trust me! ;-) . . . now I can't wait to try the other flavors!!! (I'm hoping Harris Teeter will double this coupon (starting this Wednesday is Super Doubles) which will make for some FREE Sweet Moments!!! FREEBIE: FREE Cottonelle Fresh Wipes for YOU & FRIEND!!! Go right here to get a FREE tub of Cottonelle Fresh wipes for you & a friend! Just fill out the form & your coupon should arrive in a few weeks for a free tub of wipes! 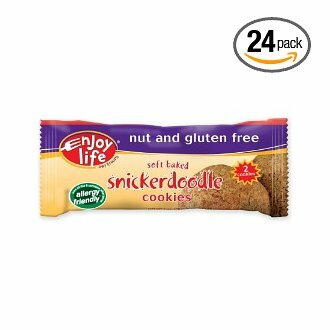 Amazon: CHEAP Enjoy Life Snickerdoodle (Gluten Free) Cookie Bars!!! Amazon is having an awesome sale on select Manager's Specials! These Enjoy Life Snickerdoodle cookies are on sale for $12.97 (and FREE SHIPPING with Prime!) for a 24 pack!!! Plus, if you sign up for Subscribe & Save, the price lowers even more to $11.02 for the case! You can cancel the Subscribe & Save easy! These are nut & gluten free . . . for only .46 a cookie!!! Great price!!! Jamba Juice: Buy One Get One FREE! From now through September 22, you can grab 2 Jamba Juice smoothies for the price of 1! Just go on over here to print your BUY ONE GET ONE FREE COUPON! Do you have a Jamba Juice near you? Check here!